With over 20 years of experience, Dr Pulane Kingston is a consultant at Webber Wentzel. She was previously a Partner at Webber Wentzel Oil & Gas Practice, a Managing Principal at Absa Capital, a Senior Associate at White & Case LLP, and an Associate Partner at Edward Nathan & Friedland Inc. She co-founded and is a non-executive director at Sphere Holdings Pty Ltd which is an investment holding Empowerment Company focusing on financial services, industrial services, and infrastructure. 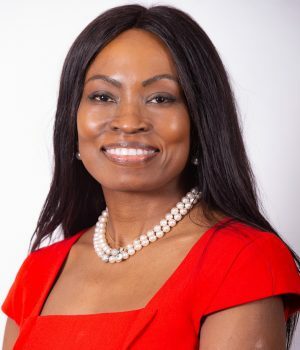 Her board experience includes being a non-executive director at Sphere Holdings (Pty) Ltd, Chairperson of Ditswammung Mineral Resources Consortium (Pty) Ltd, and a Director at Telesure Group Services. She has also been a member of the Advisory Board for ZeitsMocca, a member of the Africa Acquisions Committee for the Tate Modern Museum, a Trustee of World Wildlife Fund for Nature (WWF) South Africa, and a board member for Lalela, which is a charitable organisation for youth.